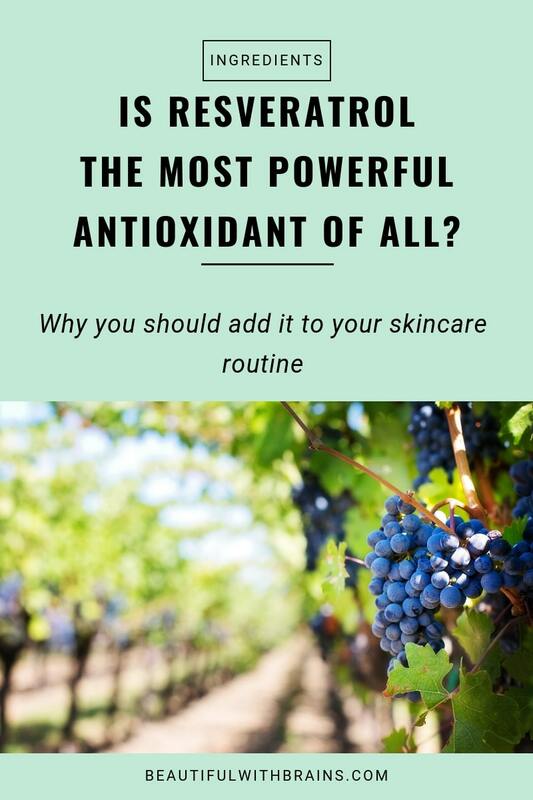 Resveratrol In Skincare Products: What Does It Do? Sometimes, I regret being a teetotaller. I don’t like the strong taste of alcohol. It has no health benefits, anyway so I don’t feel like I have to make an effort to get used to it (unlike green tea, ya know). Wine is rich in resveratrol, a powerful antioxidant that keeps wrinkles and illnesses away. What The Heck Is Reveratrol? Resveratrol is a polyphenic bioflavonoid antioxidant found in the skin of red grapes, red wine, dark berries and raw cocoa. These plants produce it to protect themselves from UV radiation and other natural enemies. According to a 2008 study, resveratrol prevents UVB-induced damaged – even when topically applied to the skin. How? This means resveratrol helps prevent serous skin damage, including wrinkles and cancer. As long as it’s used together with sunscreen. Resveratrol is not a substitute for it! Resveratrol also protect you from nasty little things that want to hurt your skin. In a 2002 study, resveratrol inhibited the growth of bacteria and fungi that cause skin infections such as Staphylococcus aureus, Enterococcus faecalis, and Trichophyton mentagrophytes. Can you use resveratrol when pregnant? You’d think that because resveratrol is natural, everyone could use it. Wrong. Pregnant women should stay away from it until they’ve stopped breastfeeding. Now it’s true that this study was done on pregnant animals on a diet supplemented with 0.37% resveratrol. This means the results may very well not apply to us. But we obviously can’t do studies like these on humans. That’s why scientists take the “better safe than sorry” approach. Just in case. What Are the Best Products with resveratrol? Caudalie Vine[Activ] Overnight Detox Night Oil ($50.00): available at Cult Beauty, Dermstore, Escentual and Sephora. 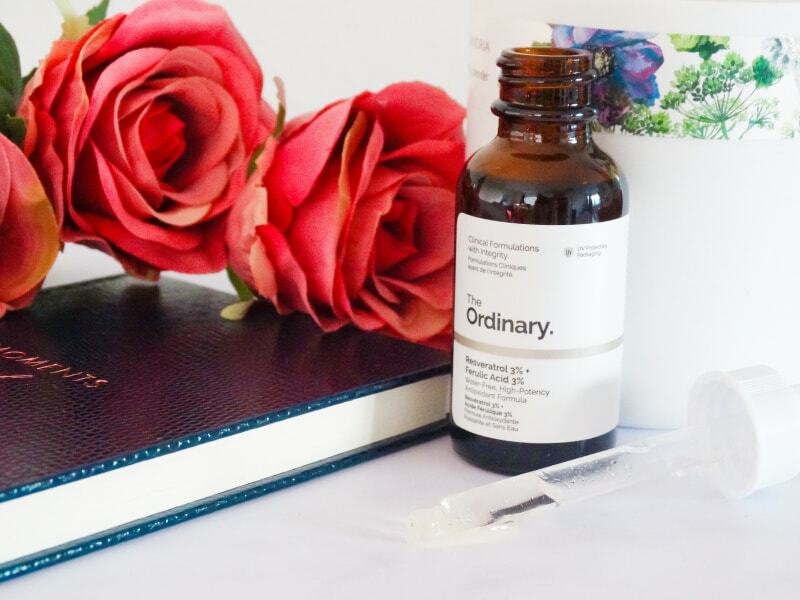 Paula’s Choice Resist Ultra-Light Super Antioxidant Concentrate Serum ($38.00): available at Dermstore, Feel Unique, Nordstrom and Paula’s Choice. Resveratrol is a powerful ally in the fight against premature aging. It prevents UV harm, fights inflammation and even keeps you safe from bacteria. Just don’t use it when you’re pregnant. Do you use products with resveratrol? Share your faves in the comments below. M, it would work even better if you eat it. When you said the fight against premature aging, does that mean only younger people should use it or would someone in their 40’s benefit? I use an amazing Australian product Shanga. Their amazing Antioxidant Toning Mist contains it. I keep it in my bag and spritz it on my face at anytime during the day its magic how my skin has improved! S, thanks for sharing. So glad you found something that works so well!